According to official news, Closed Beta 2 for MapleStory 2 will be running July 18 through August 1, 2018. The second Closed Beta will introduce a number of changes, which includes new dungeons, more quests to complete, a test of the Meret Market systems and more. Razer, a world leader in connected devices and software for gamers, will provide fans with beta code giveaways. 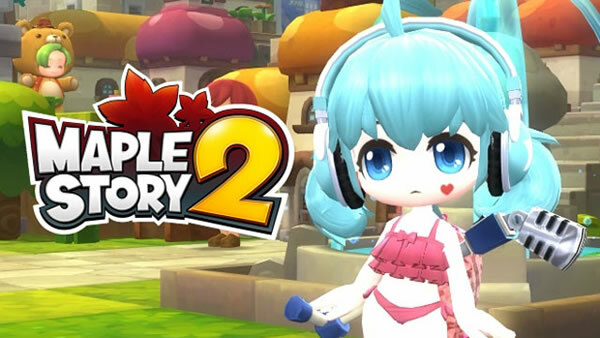 Maplestory 2 will also showcase a new battle royale mode called Mushking Royale. Mushking Royale will be available during Closed Beta 2 one weekend only, running from July 20 through July 22, 2018. This new mode will let up to 50 players battle against each other until only one winner survives. Unique features of this mode will include the ability to climb on walls, jump through obstacles, hide in bushes and raise a characters strength by defeating monsters. Benefits of playing Mushking Royale during Closed Beta 2 will include cosmetic rewards for the official launch. "We've been listening to the community and taking their feedback very seriously," said Jungsoo Lee, President of Nexon America. "As we implement new content, changes, and stress test the servers for MapleStory 2, a second Closed Beta will ensure fans will have the best experience possible at launch." What are you waiting for? Now you can register for this beta. In the meantime, if you are missing Ms mesos during the game, you can choose to purchase on our website.